An intense, eerie, and instantly compelling collection of unabridged stories from Stephen King! "The face of the man in the black suit grows ever clearer, ever closer, and I remember every word he said. I don't want to think of him, but I can't help it, and sometimes at night my old heart beats so hard and so fast I think it will tear itself right clear of my chest." 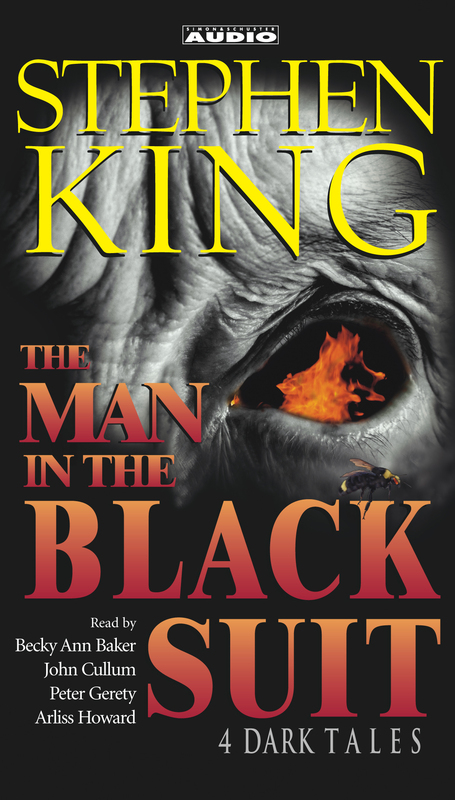 A haunting recollection of a mysterious boyhood event, The Man in Black Suit read by John Cullum, leads off this masterful collection from Stephen King. Other dark tales include: All That You Love Will Be Carried Away read by Peter Gerety, in which a man checks into a Lincoln, Nebraska Motel 6 to find meaning in his life; That Feeling, You Can Only Say What It Is in French read by Becky Ann Baker presents the ultimate case of déjà vu; and The Death of Jack Hamilton read by Arliss Howard—a blistering tale of Depression-era outlaws on the run. Whether about encounters with the dead, the near dead, or about the mundane drudgery of life—Stephen King's The Man In The Black Suit: Four Dark Tales is not to be missed.